There are some amazing cannabis subscrption boxes out there, like Hippie Butler and Sensi Box, but it doesn’t take long to collect enough rolling papers and grinders to last a lifetime. 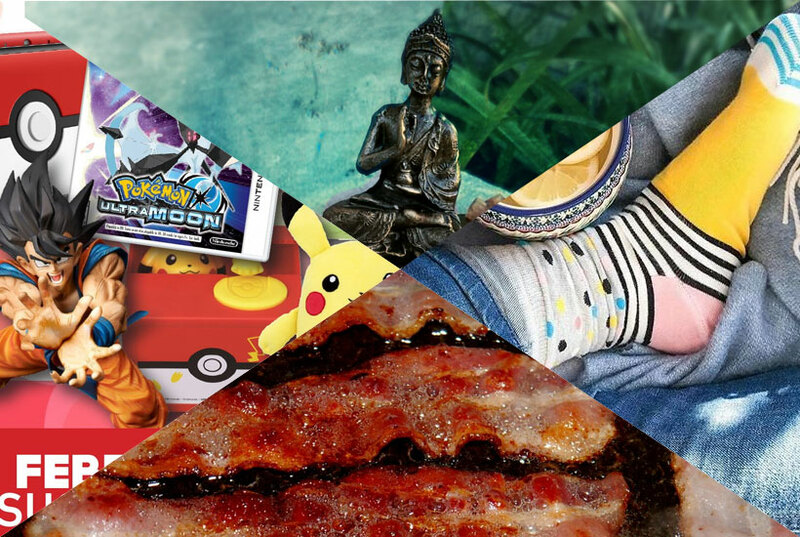 Instead, we wanted to check out the best subscription boxes full of other things you can enjoy before, during, and after blazing. From international snacks to the best pair of socks ever, you’re sure to find the perfect subscription box for that special marijuana aficionado in your life. What’s inside: Unique, mind bending music and marijuana have a long history together. What makes Vinylmnky awesome is that they give you a chance to get your hands on history. Each month you’ll receive a brand new vinyl LP from a breakthrough artist with an exclusive add on, like a custom lithograph or singed copy. If you to own an exclusive pressing from the next Bonobo or Giraffage, now’s your chance. What’s inside: If you’re the kind of stoner who can’t sit still, you’re going to love the New Hobby Box. Each month you’ll get all the tools you need to learn one new hobby, like lock picking, wood burning, or weaving. Smoke up and learn something amazing today. What’s inside: There’s nothing like a new pair of socks. Say It with a Sock will send you a new pair of fun, crazy, and one-of-a-kind socks each month, so you’ll always have something to show off. Their subscription plans are available to men and women in several sizes, and you can even choose between patterned and graphic socks. What’s inside: Nothing complements a good indica like a good cup of tea, and Simple Loose Leaf Tea has it in spades. Each month you’ll get 4 unique loose leaf teas from around the world. Their classic tea box includes a mix of caffeinated and non-caffeinated teas, but they also offer a decaf-only tea box for sippers who would rather keep it mellow. What’s inside: Bacon. Lots of bacon. Why would anyone in their right mind pay to have bacon delivered to them each month when you could just go to the store and buy some? We should probably mention that sample flavors include bloody Mary, garden herb, and classic apple pie flavored bacon. Good luck picking that up at Whole Foods. What’s inside: Candy club isn’t the only subscription box out there, but there’s a reason they’re on this list. With Candy Club, you don’t just get any old candy—eac h new member gets to take a quiz to determine exactly which treats will light their taste buds up. Enjoy gormet jelly beans, cotton candy belts, triple dipped malted milk balls, and other high end candies that you won’t find at the bodega. Each box comes with three hand-picked candies, plus a “candy splash” of other odds and ends that anyone can enjoy. What’s inside: If you like the idea of Candy Club or Japan Crate but want a little more adventure, you should Try the World. While their snack boxes start at $19 a month, the main event is their $39 Journey The World box. Each month you’ll get 7 to 8 international gourmet delicacies ranging from ready-to-eat foods and snacks to cooking ingredients and beverages. Try it–you’ll like it. What’s inside: If you’re all about healing crystals and good vibes, this is the box for you. Choose between the Cosmic Mini box and The Esoteric Box to receive apothecary products, mystical keepsakes, and other goodies to help you align your chakras. What’s inside: Loot Crate is the original subscription box by geeks, for geeks. You don’t need to be an Einstein to wubba lubba dub dub a box full of Goonies T-shirts and Groot bobble heads, but what makes Loot Crate unique is their exclusive collectibles from brands throughout the nerd universe. Good luck finding that 10th Doctor beer coozy or Bob’s Burgers yamulke anywhere else. What’s inside: If edibles and a blank canvas are your idea of a good time, you’re going to love Smart Art. Each box includes a full kit to get you going on a new kind of art, from pastels to sgraffito. If you’ve never tried your hand at Fresco or oil charcoal pencils before, now’s your chance. Create on your own terms or get started with the included project, because there’s no wrong way to art. What’s inside: Does beekeeping, making art, and cooking sound like way too much work? Then forget all that! With Bombs and Bubbles, you’ll get an assortment of bath bombs delivered right to your door. Drop $15 on The Fuse for two bath bombs and one bubble bar, or $25 on The Bomb for five full-sized, handmade bath bombs. Just make sure you keep your head above water. Did We Miss Your Favorite Subscription Box? I bet we did. I mean, there are a million of them. Let us know how much you hate us in the comments. Are You Trying to Market a Marijuana Subscription Box? Oh yeah, we’re into that. Skip the comments and head straight for our inbox.